Hotel rooms lend themselves perfectly to low Energy DC infrastructure, the power outputs within a hotel room are generally lighting, a television and device charging, which can be done easily using ELE infrastructure. Significantly reducing the amount of AC outputs in a room increases safety and simplifies installation during build. ELe technology features control and monitoring of different outputs, an example within a hotel room could be the switching of power to individual rooms once a guest has checked out. ELE technology used in hotels fulfils many of the same benefits when being used in student accommodation. It is ultimately the hoteliers profit margins that are affected from energy use. 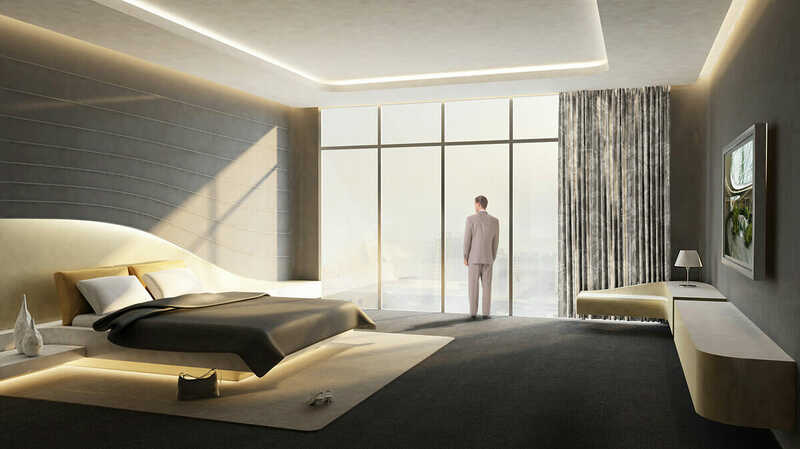 ELE technology allows hotel operators to run rooms at a higher efficiency and lower energy usage, coupled with solar panels installed on a roof and large energy savings can be made. Do to the removal AC-DC inverters, no additional heat is created in the transformation process, this additional heat does not have to dealt with in the form of air conditioning meaning less energy usage. Information and data on energy usage is also very interesting to hotels regarding maintenance and occupancy. ELE technology, enabled by power of ethernet cabling means all circuits can be monitored for power and data. This allow for proactive maintenance and non-invasive monitoring of guest patterns. All potentially highly useful metadata for hotel operators. Our unique technologies enable Hotels to operate partially or fully off-grid, manage their power consumption and gain substantial savings in energy costs and carbon emissions. For hotel facilities, ELe®’s DC based low voltage lighting and power solutions allow landlords to make these important savings whilst strengthening the bottom line.